While picky eaters may not eat the real thing, kids just love play food, and these handmade pieces are an absolute treat. Play food is one of those toy box essentials that kids come back to play with day after day. In our house, the play food is used to lovingly prepare meals for dollies, teddy bears and parents, for games of ‘cafes’ and ‘shops’ and for stashing in every manner of sparkly handbag and carried around should it become needed while we are out somewhere. If you are on the hunt for some unique play food, look no further than these amazing sets from Mamma Couture. Mum of two and fashion designer Eva started Mamma Couture following the birth of her second child as a creative outlet. All the pieces are handmade and unique, and there is limited production of each, making them the sort of attractive toy that you don’t mind your kids leaving on display. 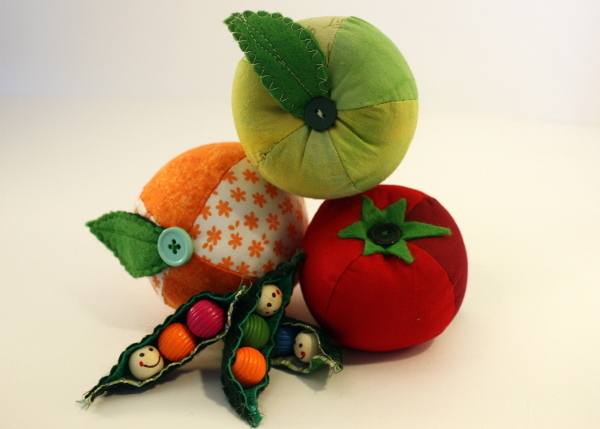 Perhaps my favourite set is the apples, oranges, peas in the pod and tomato set. 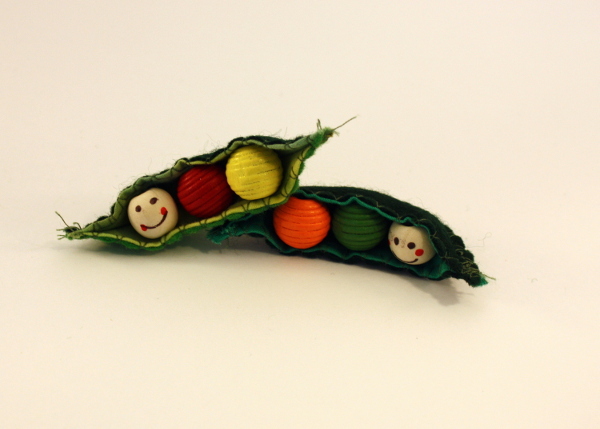 Those little faces on the peas are completely adorable (and would probably warrant my children naming them) and the detailing on the fruit pieces is intricate and unique. It is just £12.50 and makes a lovely gift for someone else if your own children are too old for play food. 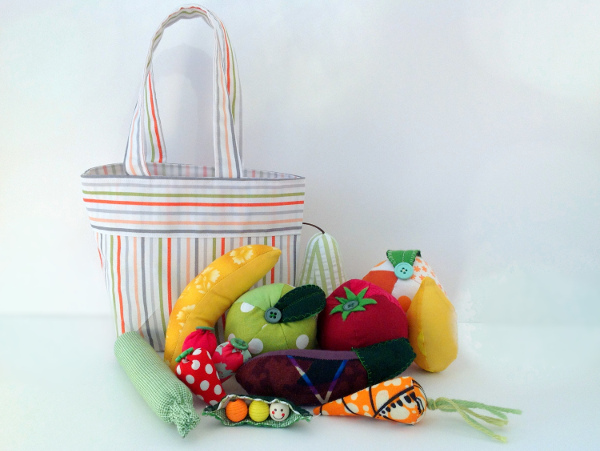 If you want more items in your fruit and vegetable basket, Mamma Couture sell a fourteen piece set complete with shopping bag for £39. Each item comes shipped from the UK beautifully wrapped and ready to give. For more play food ideas have a look at our posts on Hip Kids wooden food and Djeco food play sets.